For the second time the winners of the International Sound Awards were announced during the Reeperbahn Festival in Hamburg. 22 works had entered the finale, out of which 7 were honoured with the trophy ISAbell – partly in several categories. The winners from Finland, France, Sweden and Germany convinced the international expert jury with sound projects from different sectors: Audio Branding, Audio Marketing, Product, Research & Development, Soundscapes and Ambient Sound, Social & Culture and Universal Design. The student project “Audio Newspaper Experience” from the University of Applied Sciences and Arts Dortmund (Germany) received two Grand Prix trophies. In his keynote speech Uwe Jens Neumann, chairman of Hamburg@work | Digital cluster, addressed the significance of the ISA for the media city of Hamburg. 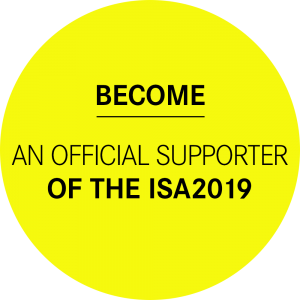 According to him, the ISA is a link between the music and the digital industry and honours the event as a valuable impulse coming from out of Hamburg right into the new digital world. The team of six youngsters from the HipHop Academy Hamburg thrilled the audience with their performance. The Academy is a non-profit project for young people between 13 and 20 years, unparalleled Germany-wide. Since 2007 they offer a training programme free of charge in all relevant sectors of Hip Hop Culture: breakdance, graffiti, DJing, rap, beatbox, producing and new style dance. Young people from all over Hamburg can enter the classes at any time and receive an individual support.